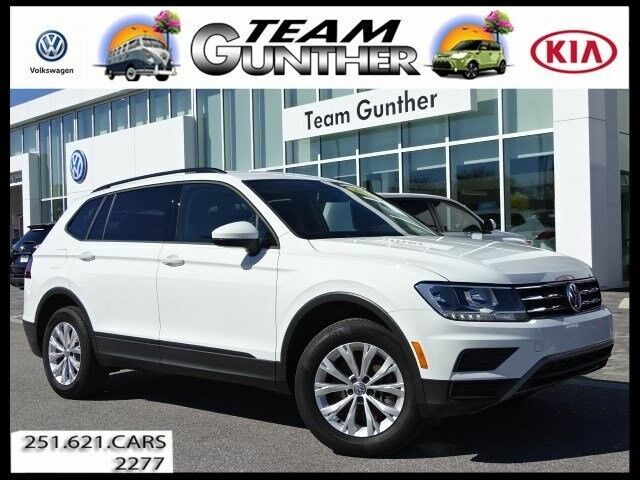 This 2018 Volkswagen Tiguan S is offered to you for sale by Team Gunther Kia. This 2018 Volkswagen Tiguan comes with a CARFAX Buyback Guarantee, which means you can buy with certainty. This well-maintained Volkswagen Tiguan S comes complete with a CARFAX one-owner history report. The Volkswagen Tiguan S offers a fair amount of utility thanks to its advanced features and unique styling. It's also quite sporty, and injects an ample amount of handling chutzpah into the ridin'-high body of a family-friendly SUV. This Volkswagen Tiguan is beautiful and the interior is clean with virtually no flaws. Thank you for visiting another one of Team Gunther Kia's online listings! Please continue for more information on this 2018 Volkswagen Tiguan S with 19,211mi. When you purchase a vehicle with the CARFAX Buyback Guarantee, you're getting what you paid for. This Volkswagen Tiguan S defines excellence in an SUV. It has the convenience of limitless boundaries paired with city sophistication. This is about the time when you're saying it is too good to be true, and let us be the one's to tell you, it is absolutely true. There are many vehicles on the market but if you are looking for a vehicle that will perform as good as it looks then this Volkswagen Tiguan S is the one!